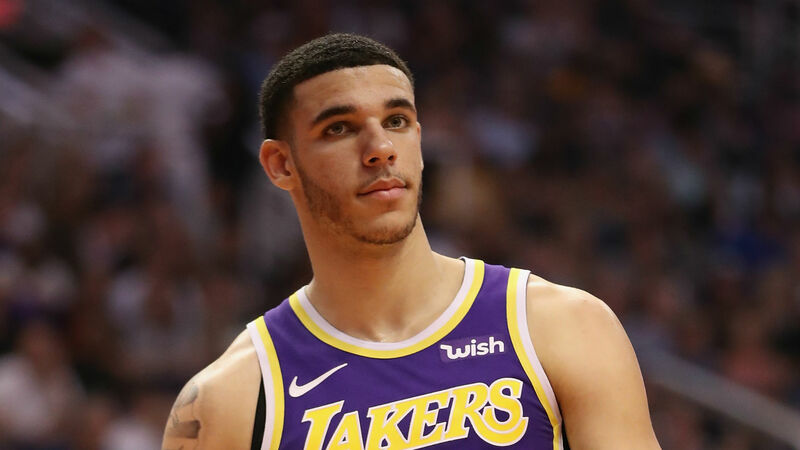 Lakers guard Lonzo Ball isn't concerned about his future with Los Angeles, despite some speculation the 21-year-old will be traded away. Instead, he's focused on getting healthy from an ankle sprain and bone bruise that ultimately cut his season short. Ball hasn't played since Jan. 19 against the Rockets, and Los Angeles recently shut him down after undergoing a reevaluation on his ankle. "At the end of the day, you can only control the things that you can control," Ball told The Athletic. "If I get traded, then I get traded. But I'm going to be ready to go. The goal is to be the best player I can for whichever team." Ball was linked to rumors around the Lakers' trade talks with the Pelicans as Los Angeles tried to land six-time All-Star Anthony Davis. Ball was among several Los Angeles players reportedly offered in negotiations, but the deal eventually fell through. Despite the rumors, Ball said he's just working to control what he can and he's putting an emphasis on recovering now so he can continue to build on his game this summer. "I'm very, very motivated," Ball said. "I want to be the best I can be. I'm looking forward to this summer. I don't look at it as added pressure, because I haven't had a full summer yet to dedicate to myself. I have to keep working on my craft. I'm just happy that I'm going to be healthy. "It's been frustrating. This is the second year that this has happened. But I have to stay positive, stay motivated." Ball is in his second season with the Lakers after they selected him with the second overall pick in the 2017 draft. He has averaged 9.9 points with 5.3 rebounds this season while shooting 40.6 percent from the field.